Three out of the four members of the BCI sub-committee-B.C. Thakur, R.G. Shah, D.P. Dhal- were of the view that legislators- MPs, MLAs and MLCs -can be allowed to practice. Three of the four members of a sub-committee constituted by the Bar Council of India have concluded in their report that legislators- MPs, MLAs and MLCs- should not be barred from legal practice. Following this, the Bar Council of India has deferred the “final decision” pertaining to the issue to next week for more thorough and wider consultation and discussion. BCI Chairman Manan Kumar Mishra announced this after the General Council meeting of the apex disciplinary body for lawyers yesterday evening which discussed the report submitted by a four-member sub committee comprising of office bearers and advocates B.C. Thakur, R.G. Shah, D.P. Dhal and S Prabhakaran. “Today we discussed the report submitted by the four-member sub-committee. Out of the four houourable members, three (B.C. Thakur, R.G. Shah, D.P. Dhal) were of the view that legislators MPs, MLAs and MLCs can be allowed to practice. One member S Prabhakaran said they should be debarred on the grounds of conflict of interest and office of profit”, Mishra told reporters. 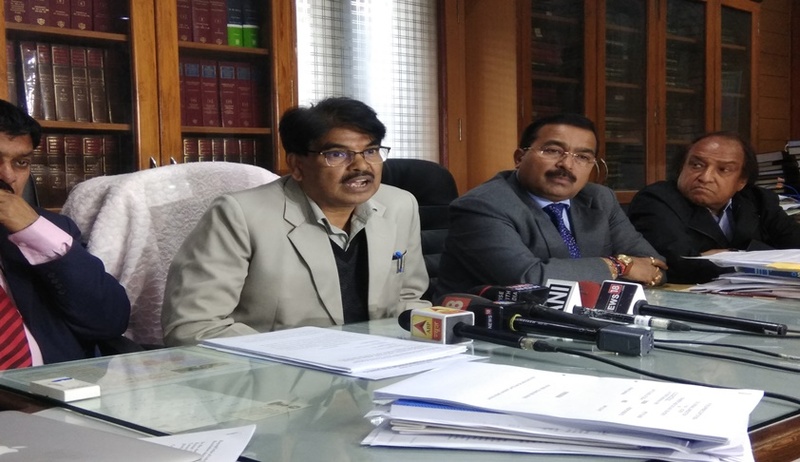 Bar Council was acting on a representation of advocate and Delhi BJP leader Ashwini Upadhyay who cited a BCI rule that restricts a salaried employee from practising as advocate. "It is an honourable profession but does not remain noble merely by calling it as such, unless an advocate is fully dedicated for this profession. Similarly, legislators are also expected to dedicate their full time to public and their constituents ahead of their personal and financial interests," he wrote in a letter to the BCI, a copy of which he has also forwarded to Chief Justice Dipak Misra.